These are three of four very special people in my life. 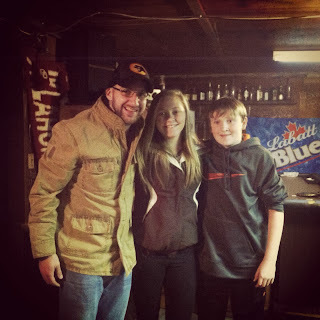 Left to right are my grandchildren, Eric, Megan, and Jason. The fourth is Eric's wife Angelina who is waiting for her husband to arrive in Texas in a couple of weeks. She has just gotten a job in her chosen field of radography. I am so very proud of her. Safe journeys Eric as you travel home to the Dallas/Fort Worth area. I hope you will find your dream job, too. Megan, you make me so proud. Outstanding athlete...I wasn't even a mediocre one. Excellent student and soon to be 16. Jason, you too make me very proud. Outstanding athlete, excellent student and almost a teenager. I love you all more than you will ever know. 365 Photos Day 25...I'm behind.